For this particular snack, we tend to use smoked sea bass (very common along the coast in Croatia). But I’m currently on the west coast of Canada and salmon is a lot more common. Use whatever you like! But smoked fish is certainly best. This is basically Lox, but Croatian. 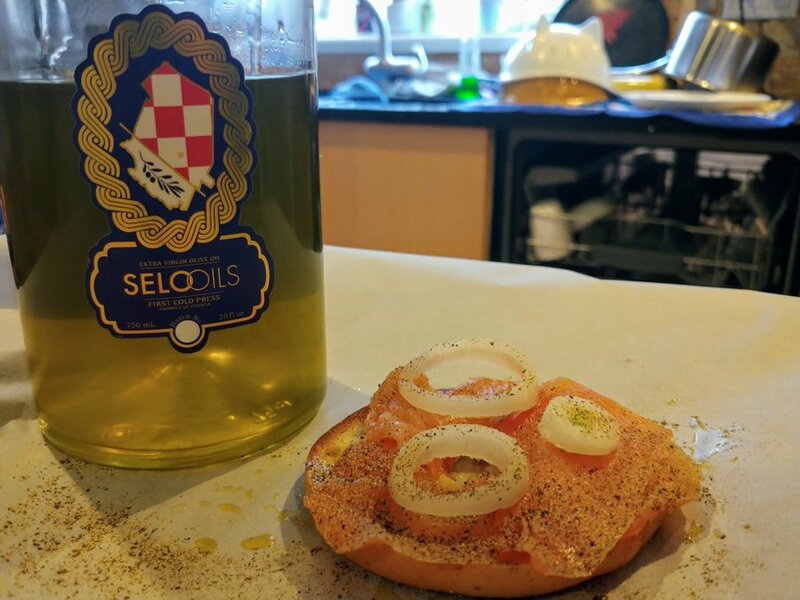 After bagels are toasted, drizzle each bagel in Selo Oils. Next > Frozen Olive Oil: Is My Olive Oil Safe To Eat If It Freezes?